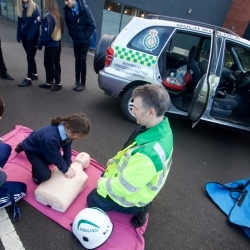 Community First Responders are trained by West Midlands Ambulance Service to respond to "999" emergencies in their local area. 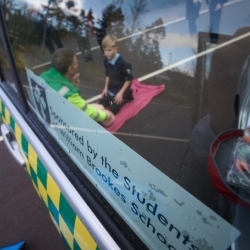 Their vehicle covers Much Wenlock and approximately 10 miles in every direction (so Broseley, Cressage, Buildwas etc) and the idea is that the response car can get to a patient before a full-time ambulance travelling from Bridgnorth, Shrewsbury or Telford. 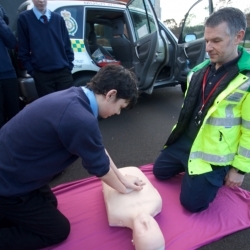 Their key skills are in life-critical situations such as cardiac arrests, heart attacks, strokes, trauma, road traffic accidents etc where speed is vital. 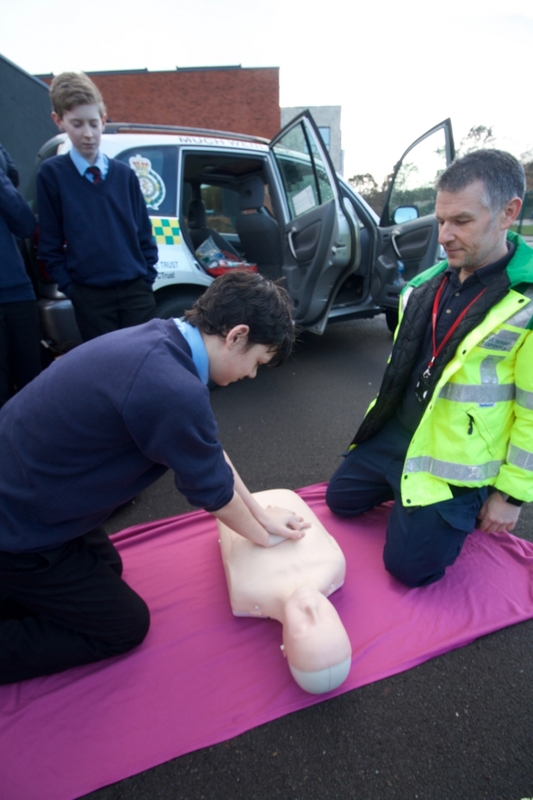 They are fully part of the ambulance service receiving regular training updates and going on shift with paramedics. 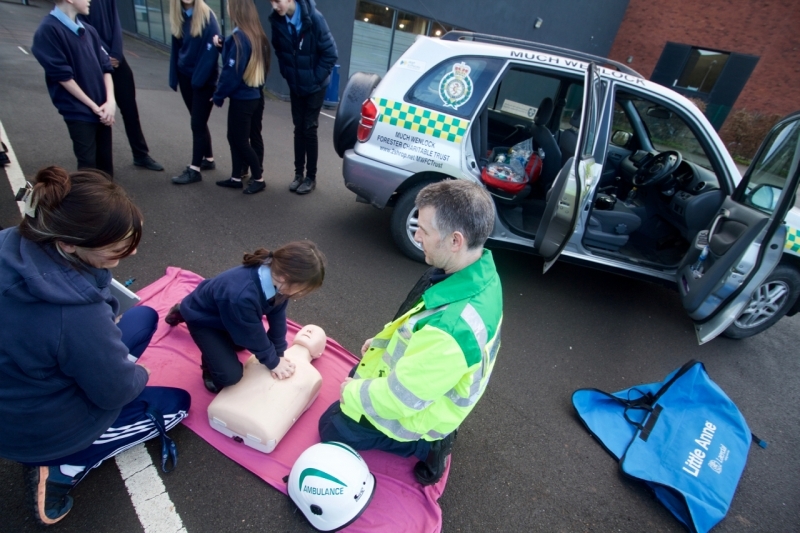 The key difference is that all CFRs are volunteers and although they are fully supported by the NHS and ambulance service, they have to fund their own vehicles and equipment through local fundraising and sponsorship. In the next few months they need to replace their defibrillator with a newer model with additional diagnostic features so that they can treat a wider range of patients with an expanded set of drugs. The cost of the new machine will be approximately £2000! The cost of insuring the vehicle is around £550 per year! 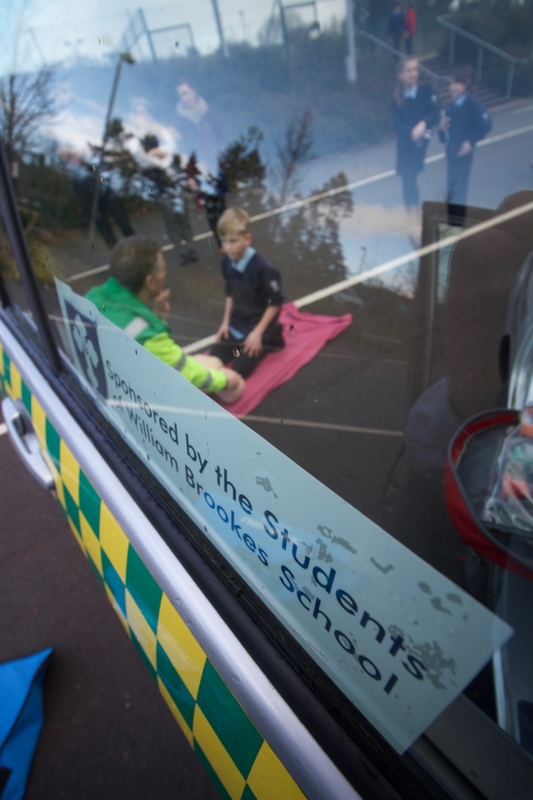 William Brookes School is the biggest employer in Much Wenlock and in fact has over 1100 people on site every school day so as an important link to the community William Brookes School will be sponsoring the Much Wenlock Ambulance Response Car for the next three years.